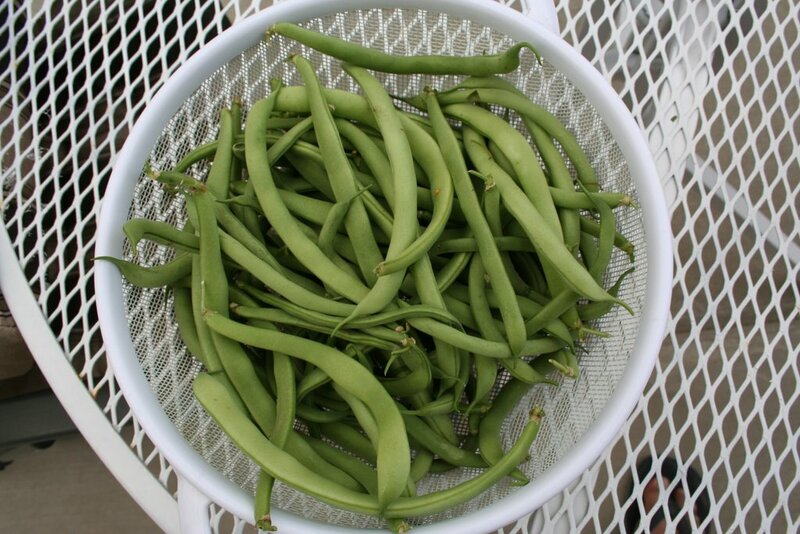 Last year when I first read about the Green Blog Project, I was very excited as we had so many veggies growing in our backyard and this was a good event to participate in. I was a month old in the food blogging world and it was one of the first few events that I participated in. I made vegetable fried rice from carrots and beans and tomato thokku from tomatoes grown in my backyard. After sending my entries I was eagerly waiting for the roundup and was amazed at all the other entries. I usually stick to traditional and easy growing veggies. 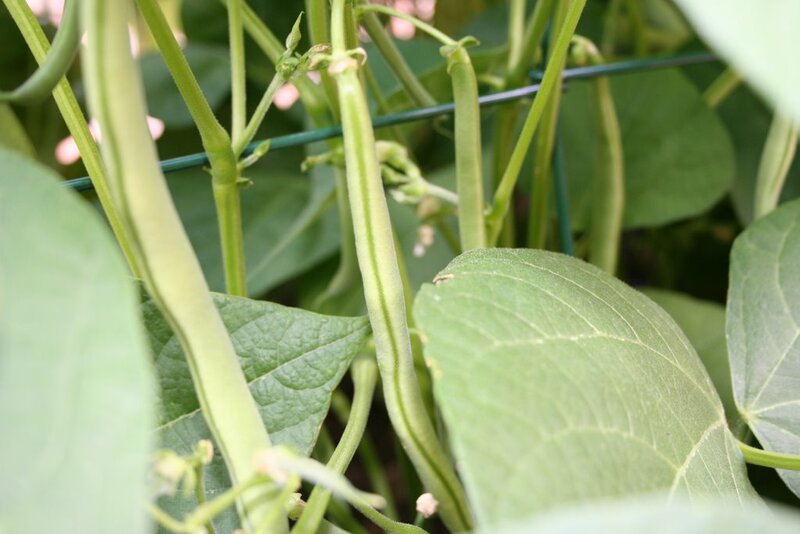 But after looking at the roundup, I was surprised to see so many people growing traditional Indian veggies with such ease. This effort started by InjiPennu has encouraged a lot of food bloggers to grow their own vegetables either be it in small containers/pots or a big backyard. I had totally dismissed the idea of growing anything in winter. When Mandira of Ahaar hosted the GBP winter/spring 2007 event and gave us some very good tips on growing veggies in winter, I was motivated and decided to grow some mint, curry leaves and lime in pots, indoors. My entry for the event was Curry Leaf Powder. After seeing all the enthusiasm from fellow bloggers, I very gladly accepted to host the Green Blog Project - Summer 2007(April-Oct) event. This will be a very good motivation for me to try out new veggies this time. 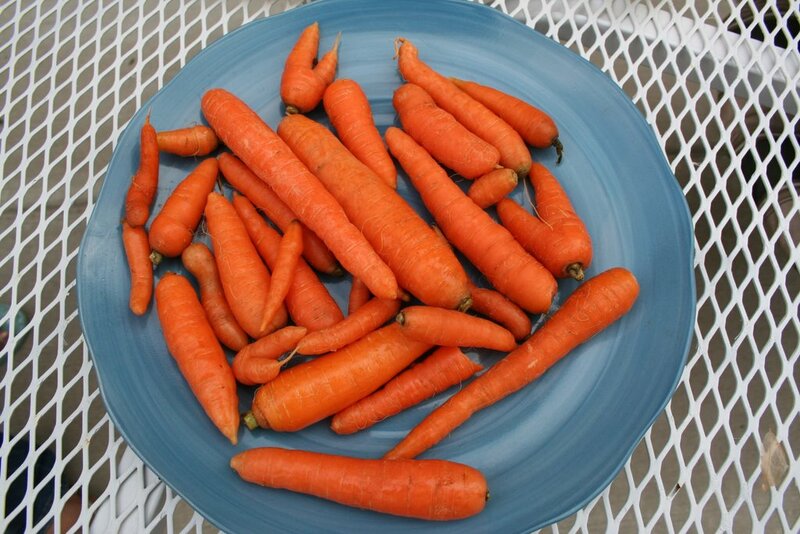 I have already planted carrots, radishes, spinach and lettuce seeds outside in my vegetable bed. I have a strawberry patch (a perennial for Colorado) that is beginning to flower. 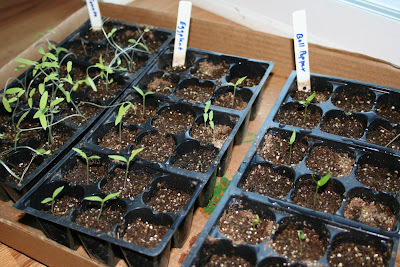 I have also started seeds inside for tomatoes, bell pepper and eggplant in small seed starters. * Follow package directions carefully. * Start in small 2 inch pots/dishes or use cardboard egg cartons. help to retain moisture, which is very important for seeds and young seedlings. Many kinds of tropical seeds can be bought at the following online stores. Garden Web and Daves Garden answers most gardening questions. The garden watchdog feature in daves garden helps you choose online seed/plant stores based on reviews. Please find the guidelines to the event listed below. From previous experiences (read browsing through comments in other entries to get more info about how to start the plant and tips) I have also added a few suggestions to the usual guidelines. * Use the vegetable/fruit as the main ingredient and post an entry by Oct 1, 2007. I will be doing a roundup by Oct 10, 2007. Every time I read a post about growing vegetables the first thing I want to know is can I grow it where I live, how to grow it and where to buy the seed/plant from. So along with the above set of guidelines it will be very useful if you could write a little about your place (zone/weather pattern/climate), special tips/suggestions/methods that you use to help your plant grow healthy, where you bought the seeds/plant from and if you grow it in a pot or your backyard. I am open to suggestions from all you guys to help make this event useful and exciting for all of us. Your veggies look gorgeous! You have to share your secrets with me! I have only killed plants since we got here! I am now growing okra. Some of the seedlings have already committed suicide but I planted a whole bunch. Let's see if the others want to join those that went before them! I am also planning to order some karela seeds. That's it. The rest of the growing is flowers - mainly echinacea and black-eyes susans. 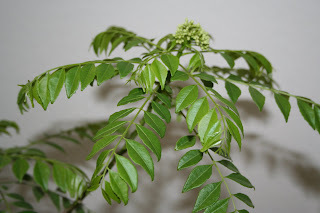 BTW, did you grow the kadipatta plant from seed or did you buy a sapling? Great! Nice and helpful announcement. 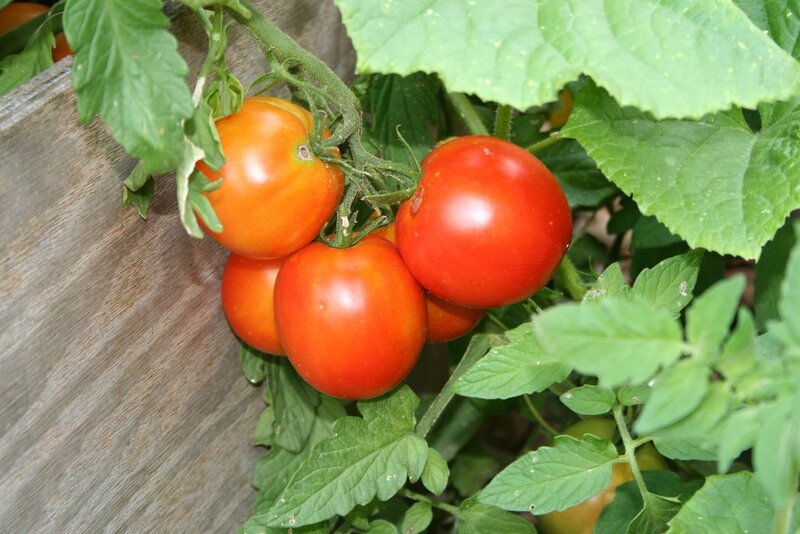 Manisha: Last yr I bought 2-3 tomato plants, 1 cucumber plant from homedepot. I started beans, yellow squash, okra, watermelon, spinach, carrots, radishes from seeds but I sowed them directly outside. I've not had luck with starting seeds indoors and then transplanting them outside. Hopefully this yr I will suceed. Some plants dont do well with transplants and it usually is mentioned on the seed cover. Honestly apart from adding very little fertilizer when I plant the seeds and watering regularly I dont do much for the plants. Thankfully they thrive well bcos of the loads of sunshine that we get. I wish you luck with the okra and karela. I plant my okra seeds directly outside during the first weekend of May and give it a trellis for support. It thrives well. For the kadipatta, I got it as a 5inch seedling from logees. I love their site bcos the plants came in a very healthy condition and have thrived well. InjiPennu: I am sorry about the confusion (read editing the blog at 11 in the night). I have corrected it. I totally understand Asha. Even for me growing things here in Winter is extremely difficult. This year we did get some snow last week. So Spring gardening is also becoming difficult. Summer should be fun for everyone. 1. What happens to the plants in winter? For me, if my plant wilts and dies it is very very heart breaking. 2. How often do u water the plants? I agree that its a lot easier to grow veggies in India but with a little effort its possible even here. Kentucky is zone6 (-10 to 0 F) and so the plants need to be grown in a pot and brought inside for winter. If you have a patio you could leave the plants out during Summer and early Fall and then bring it inside for winter. You need to water the plants everyday in Summer (which is the actual growing period) and slowly you can reduce it in Fall and in Winter you can water once in 5 days. Just by touching the soil surface and looking at the plants you will be able to guess if it needs to be watered. Also the plants might shed a few leaves in winter but nothing to panic as its goin into a dormant state. As they grow tall you need to move them to a bigger pot. Only thing about okra is it needs a trellis for support and could be difficult to fix a trellis to a pot. Tomato, green chilli, curry leaf, herbs(basil, cilantro, mint) can all be easily grown in pots. Hope this helps and good luck. Congratulations on hosting one of my favorite events in the food blog world, Deepz. I LOVE GBP! and I can't wait to participate. I just bought some soil and next week planning to buy some plants. We have a very cloudy weather where we live, it's going to be difficult for me to grow from seeds this year. So decided to start with plants instead. Quite pleasantly surprised to land on your useful blog with the usual aroma of Thamizh Semiaya Paayasam and all the rich dishes associated with Tamil New Year Day. Congratulations. so that a good many of my Tamil friends living in USA may benefit .God Bless You. Thanks Indira. GBP is also one of my favorite events. I am looking forward to hosting it. I have not had good results with starting from seeds in the past but still trying this year. Good luck with your plants. Menakasury: Thanks for writing abt my blog in your site. Sharmi: Good luck. I will be looking forward to your entry. Thanks Roopa and Linda. I will be looking forward to your entries. What a coincidence!! Suddenly out of blue moon I decided to plant some veggies in my backyard and last week with all trouble of pulling unwanted overgrown grass and i prepared a veggie bed and planted some plants like Tomato, Red Radish, Cucumber, and lots and lots of herbs like.. basil, coriander, methi, pudina etc., I cant wait to participate in this wonderful event. Sorry priya for the delayed reply. You can get curry leaf plants in Logees. Look for my curry leaf podi post and I should have a link there. Interesting story as for me. It would be great to read a bit more about this theme. Thanx for giving this material. Excellent blog ... how are things going for this year?